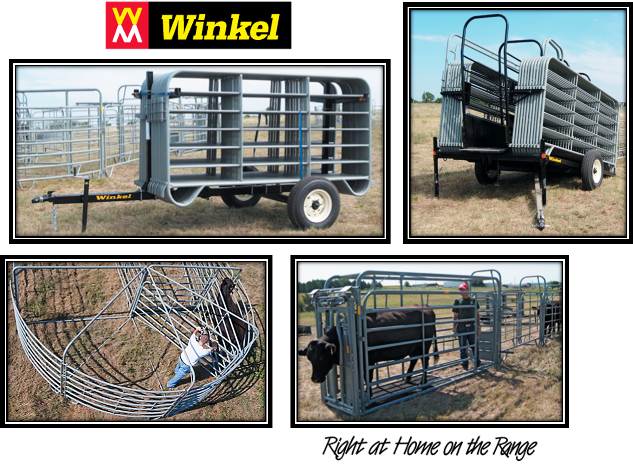 Winkel portable corrals, panels, panel carriers and related accessories are constructed with thought, ingenuity and craftsmanship that only years of experience allow. These everyday tools of the livestock industry will provide you years of durable and dependable service. Well balanced for one-man-maneuvering, Winkel panels also have sled-runner legs for ease of handling and secure, quick-aligning positive hook-up connectors--an original Winkel feature! for balanced, easy and secure handling!